As my spending ban is due to come to an end tomorrow I thought it was time for an update. I've become a lot more restricted with myself due to it though but I've had to be when a lot of my monthly income was going straight back out on beauty items. The fashion side of things isn't too bad, it's all stuff that I have worn or pieces to wear for Summer and I've cut down a lot on that too. I do want to give myself a pat on the back for the massive cut down on beauty products though. I could go into Boots and spend £65 without blinking in that matter of minutes. My make-up collection is somewhat out of control now and there's plenty of products I've learnt to love over the past few months due to this spending ban. I wouldn't say I'm continuing with my spending ban in so many words, just being more strict with myself. Do I really need that lipstick when I already have one lying around at home that's very similar? 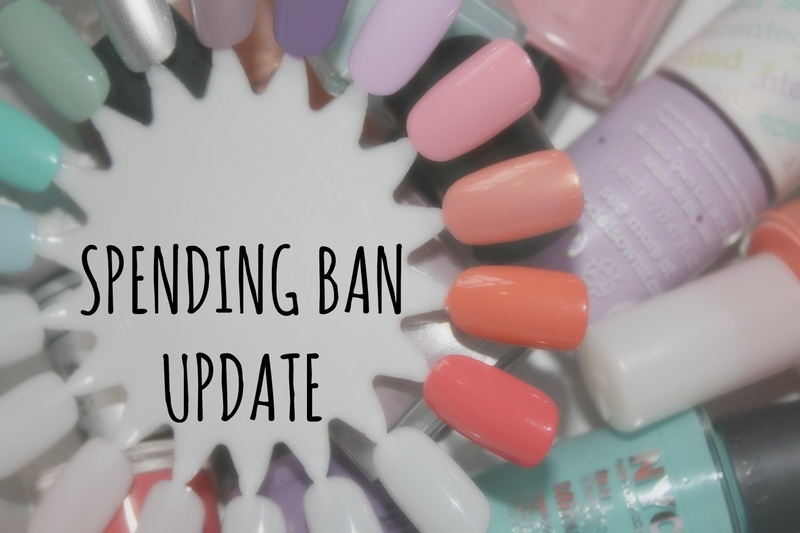 Has anyone else tried a spending ban before? I've not tried a spending ban because I'm quite good with saving money, I definitely need to think more when I buy little bits in Boots though, I seem to have a few things that are exactly the same in my collection! I reaaaally have to do this! So broke, student life is the worse for beauty addicts.